Gains don't just appear. They're the result of hard work, proper nutrition, dedication, and sweat. But that's all on the surface. Dig deeper and see how muscle is built on a cellular level! 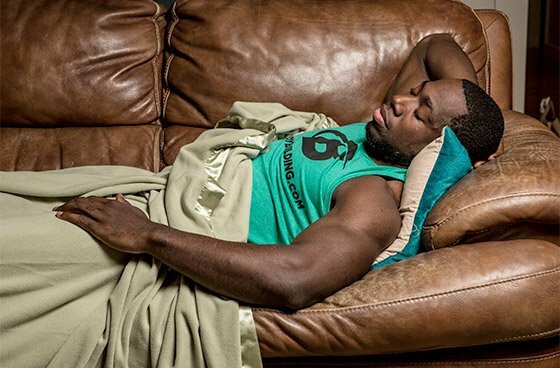 You hit the weights hard, eat, rest, recover, and grow. You tear apart the iron and lift thousands of pounds each week. After your bouts in the gym, you&apos;re usually sore and tired, as you should be. You push yourself and tear down muscle fibers, so why does the continual stress make you stronger? How can you press and pull your way to greatness when moving a heavy, loaded bar leads to muscle catabolism, inflammation, and atrophy? Put simply, your body&apos;s reaction to stressors is what kicks off the swolification process. Muscle growth is definitely the result of hard training, precise nutrition, consistency, and adequate rest, but it&apos;s also the result of much deeper interactions at the cellular level. Let&apos;s take an intimate look at what happens inside the body to instigate muscle growth, and how you can maximize your own gains! Within hours of muscle injury, neutrophils and macrophages—white blood cells critical to decreasing inflammation—infiltrate your injured muscle. Small, cell-signaling proteins called cytokines are then released, attracting more white blood cells along with satellite cells. Think of satellite cells as fast-acting guys strategically situated on the outside of mature muscle fibers, on permanent standby in the event of muscle damage—a 24/7 occurrence for hard-training bodybuilders. When signaled, these relatively dormant cells wake up, engage, and rise to the occasion by proliferating at the site of muscle injury. Signaling pathways ultimately control the activation and expansion of satellite cells, and enable them to produce larger, stronger muscles. Satellite cells possess a single nucleus that acts as a control center, which regulates gene expression. When prompted by tissue damage, satellite cells replicate and differentiate into mature muscle cells by fusing to existing fibers. This is how they become new muscle protein strands and assist with muscle repair. Basically, it&apos;s at this juncture that you start to get swole! Over the two-week period in which satellite cells are called upon to heal damaged muscles, our injured fibers are flooded with a residual pool of normally dormant satellite cells. To work their muscle-building magic, these satellite cells must become part of the cell cycle and replicate the molecular pathways that were responsible for laying down our very first muscle fibers during initial cell formation. On average, a trip through the cell cycle takes 16 hours. Signaling pathways ultimately control the activation and expansion of satellite cells, and enable them to produce larger, stronger muscles. The right anabolic conditions must be in place before satellite cell activation can begin. First, your health has to be in good standing, which includes optimal hydration, sound sleep, a diet low in simple sugars and trans fats, and a good balance of quality proteins, carbs, and fats. Needless to say, sufficient levels of cardio and resistance training don&apos;t hurt either. After all, lifting does more than build boulder shoulders and barnyard back—it induces tissue vascularity, which aids in the circulation of nutrients and oxygen as well as the removal of waste products. If you want to build muscle, you have to hit the weights, hard. In order to optimize satellite cell activation and myogenesis—better known as the formation of muscular tissue—you have to maximize the microtrauma that signals muscle injury. This is because the degree to which we place mechanical stress on our muscles is in direct relation to the disruption of muscle cell organelles, the proliferation of satellite cells, and, ultimately, muscle hypertrophy—an increase in a muscle fiber&apos;s size. Training intensity should be your number one priority to enlist the greatest number of satellite cells and kick off the muscle-growing process. The importance of blisteringly intensive weight-training sessions on satellite cell recruitment cannot be debated. But an often-overlooked part of the muscle-growth process is the combined effect of growth factors and anabolic hormones in the process. Closely related to insulin and highly anabolic, IGF-1 is a key regulator of muscle growth. In fact, it&apos;s been suggested that it contributes to muscle hypertrophy by stimulating the proliferation of satellite cells. Train Briefly And Intensely Short bouts of high-intensity weight training have been proven to boost IGF-1 levels to a far greater extent than longer, slower sessions. Up The Fat Eat 0.5 g of fat per pound of body weight daily to increase IGF-1 bioavaliability. Supplement With Creatine Aim for 5 g of creatine before and after weight training. An eight-week study of creatine versus placebo found that subjects taking creatine recorded an IGF-1 increase of 78 percent compared with the control group, who were assessed at 54 percent. Consume Whey Protein In one study, subjects who took 40 g of whey before and after workouts for 10 weeks experienced double the IGF-1 output and a threefold increase in the amount of IGF-1. To optimize IGF-1 levels, consume 20-30 g of whey protein 30 minutes before training and 20-30 g immediately after. Eat Your Meat Meat-eaters tend to have higher circulating IGF-1 levels, and, as a result, more muscle mass. Vegans typically have 15 percent lower IGF-1 levels compared to their carnivorous counterparts. Milk It Milk has been shown to increase IGF-1 irrespective of its whey and casein composition. By consuming 2-3 glasses of milk each day, we may significantly elevate our circulating IGF-1 levels while boosting IGFB-3, a binding protein that assists IGF-1&apos;s role as a muscle builder. Increase The D Researchers found that, by treating subjects with either 5,000 or 7,000 IU of vitamin D three times per week, they were able to significantly raise these circulating IGF-1 levels. While it&apos;s better known for increasing intramuscular energy, glucose uptake, and protein synthesis, insulin has also been shown to enhance satellite cell fusion. It does this by increasing satellite cell density and promoting extensive myotube formation and enhanced differentiation. Indeed, optimal insulin levels are essential when seeking to boost muscle growth. Insulin levels can also be boosted by consuming 20-40 g of fast-digesting carbs, such as fruits, early in the morning. Carb Up Eating 30-80 g of fast-digesting carbs along with 30 g of whey protein within 30 minutes of completing a lifting session helps insulin efficiently perform its muscle-building role and start the healing process. Be An Alpha Supplementing with alpha lipoic acid (ALA), an antioxidant that mimics the effect insulin has on muscle cells, may enhance insulin sensitivity. Better insulin sensitivity provides the energy needed to power satellite cell activation. Include The Forgotten Vitamin K Vitamin K has been shown to improve insulin sensitivity by converting a substance called carboxylated osteocalcin, which plays a positive role in glucose metabolism. The most coveted bodybuilding hormone of all, testosterone is also a key player in satellite cell activation. Testosterone increases neurotransmitter levels at the muscle fiber site, stimulates GH responses in the anterior pituitary, interacts with nuclear receptors in DNA, and modulates satellite cell activity through increased IGF-1 production and androgen receptor density. Basically, the big T optimizes satellite cell proliferation and differentiation. Ditch The Drugs By reducing or eliminating alcohol, caffeine, cigarettes, and other such drugs from your system, you offset the risk of excessive cortisol release, a stress hormone which may counteract testosterone production. Time Your Carb Intake While the proper timing of high-sugar carbs is a necessary anabolic measure to ensure optimal glycogen uptake, overconsumption of this energy macronutrient is no good. In fact, an immediate drop in testosterone levels may be experienced following a high-carb feeding, and 3-4 such meals per day may lead to lower overall T-levels. Get Sufficient Shut-eye Sleeping soundly has been suggested to increase testosterone levels. Sufficient uninterrupted sleep—at least eight hours each night—is also one of the most effective ways to boost GH production. It has been shown that the strongest wave of GH occurs within the first hour of sleep; GH is then released in episodic waves once every 90 minutes. Stay Lean Keep your body fat at respectable levels—under 12 percent for males and 20 percent for females—to optimally balance your hormonal system and offset the possibility of lower testosterone levels. Eat Fat By consuming sufficient healthy fats—including those found in avocados, olive oil, fatty fish, nuts, and lean animal meats—you can maintain the structural integrity of your bodily cells while providing the raw materials needed for testosterone production. Train Hard And Fast Intensive training sessions under 45 minutes that emphasize the basic compound movements are best for maximizing testosterone production. Stick to multijoint mass movements. A key component in the muscle-growth process, growth hormone (GH), among many other functions, stimulates the production of IGF-1. Secreted from the anterior pituitary gland following intensive weight sessions, GH is crucial for the uptake and final-stage integration of amino acids into new muscle proteins. In controlling how large our muscle fibers grow, GH dictates the extent to which we may progress in our training. GH is thought to promote the second phase of myogenesis, or the formation of muscular tissue. Intensify Training The GH released in response to resistance training is proportional to the intensity generated. Train hard for 30-45 minutes for optimal GH release. Quick-Burst It Periodic high-intensity burst-type training, in which the heart rate exceeds the anaerobic threshold for 30 seconds at a time, may enhance GH production. Completing such bursts five times within the same workout has been shown to activate super-fast-twitch muscle fibers which, in turn, maximizes GH levels. Supplement With Arginine And Lysine Taking both of these supplements immediately before training and sleeping (3-5 g of each per serving) may elevate GH. Supplement With Glutamine By taking 2-10 g of glutamine immediately after workouts and before bed, you may not only improve your immune system integrity and muscle recovery, but also elevate GH levels. Knowledge is power. What happens inside your body is crucial to shaping what it looks like on the outside. Take some of the strategies you&apos;ve learned above, and implement them in your own quest for more mass! Ballard, T., Clapper, J., Specker, B., & Binkley, T. (2005). Effect of protein supplementation during a 6-mo strength and conditioning program on insulin-like growth factor I and markers of bone turnover in young adults. American Journal of Clinical Nutrition, 81(6), 1442-8. Burke, D., Candow, D., Chilibeck, P., MacNeil, L., Roy, B., Tarnopolsky, M., & Ziegenfuss, T. (2008). Effect of creatine supplementation and resistance-exercise training on muscle insulin-like growth factor in young adults. International Journal of Sports Nutrition and Exercise Metabolism, 18(4), 389-98. Corpas, E. (1993). Human growth hormone and human aging. Endocrine Reviews, 14, 20-39. Cornelison, D., & Wold, B. (1997). Single-Cell Analysis of Regulatory Gene Expression in Quiescent and Activated Mouse Skeletal Muscle Satellite Cells. Developmental Biology, 191, 270-283. Sinha-Hikim, I. (2004). Androgen Receptor in Human Skeletal Muscle and Cultured Muscle Satellite Cells: Up-Regulation by Androgen Treatment. Journal of Clinical Endocrinology & Metabolism, 89(10), 5245-5255. Saremi, A., Gharakhanloo, R., Sharghi, S., Gharaati, M., Larijani, B., & Omidfar, K. (2010). Effects of oral creatine and resistance training on serum myostatin and GASP-1. Molecular and Cellular Endocrinology, 317(1-2), 25-30. Seaberg, R. (2003). Stem And Progenitor Cells: The Premature Desertion Of Rigorous Definitions. Trends in Neurosciences, 36(3), 125-131. Schwarz, A., Brasel, J., Hintz, R., Mohan, S., & Cooper, D. (1996). Acute effect of brief low- and high-intensity exercise on circulating insulin-like growth factor (IGF) I, II, and IGF-binding protein-3 and its proteolysis in young healthy men. The Journal of Clinical Endocrinology & Metabolism, 81(10), 3492-7. Sinha-Hikam, I., Roth, S., Lee, M., & Bhasin, S. (2003). Testosterone-induced muscle hypertrophy is associated with an increase in satellite cell number in healthy, young men. American Journal of Physiology, Endocrinology and Metabolism, 285(1), E197-205. Schwander, J., Hauri, C., Zapf, J., & Froesch, E. (1983). Synthesis and Secretion of Insulin-Like Growth Factor and Its Binding Protein by the Perfused Rat Liver: Dependence on Growth Hormone Status. Endocrinology, 113(1), 297-305. Sonntag, W., Csiszar, A., Cabo, R., Ferrucci, L., & Ungvari, Z. (2012). Diverse Roles of Growth Hormone and Insulin-Like Growth Factor-1 in Mammalian Aging: Progress and Controversies. The Journals of Gerontology Series A: Biological Sciences and Medical Sciences, 67, 587-598. Tatsumi, R., Anderson, J., Nevoret, C., Halevy, O., & Allen, R. (1998). HGF/SF Is Present in Normal Adult Skeletal Muscle and Is Capable of Activating Satellite Cells. Developmental Biology, 194(1), 114-128. Tatsumi, R. (2002). Release of Hepatocyte Growth Factor from Mechanically Stretched Skeletal Muscle Satellite Cells and Role of pH and Nitric Oxide. Molecular Biology of the Cell, 13(8), 2909-2918. Tuch, B. (2006). Stem cells—a clinical update. Australian Family Physician, 35(9), 719-21. Thomas, M. (2000). Myostatin, a Negative Regulator of Muscle Growth, Functions by Inhibiting Myoblast Proliferation. Journal of Biological Chemistry, 275, 40235-43. Velloso, C. (2008). Regulation of muscle mass by growth hormone and IGF-I. British Journal of Pharmacology, 153, 557-68. Zammit, P. (2002). Kinetics of Myoblast Proliferation Show That Resident Satellite Cells Are Competent to Fully Regenerate Skeletal Muscle Fibers. Experimental Cell Research, 281, 39-49. Move over chicken, broccoli, and steak. 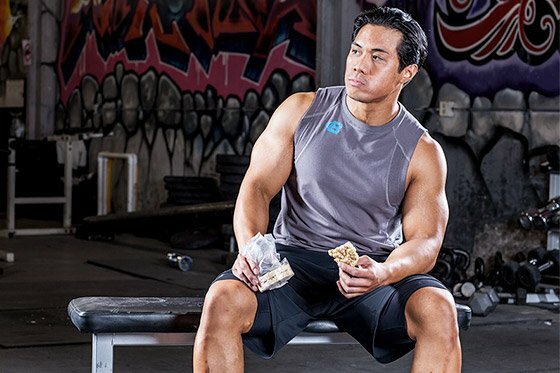 Here are the 9 top bodybuilding foods flying under the radar. Make them a part of your high-performance diet! Every month, academic journals publish dozens of new studies about training, nutrition, and athletic performance. We read the research and zero in on the take-home lessons so you don&apos;t have to!